One hot midsummer day as a toddler, collecting greenery for the traditional may pole with the family, we saw the most enormous black and grey viper lying in the sunny slope beside the road. My parents estimated it to be almost two meters long. I wanted to go up and pet it, but was told it wanted to be left alone. 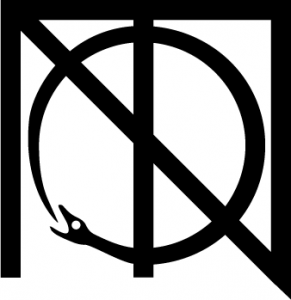 Since then snakes in general and vipers in particular have held a special fascination to me. 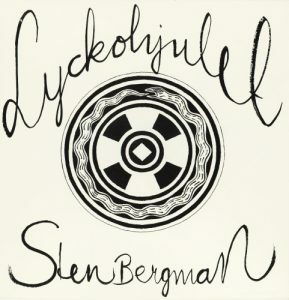 Around the time of this viper encounter my mother Silvia included an ouroboros when she designed the cover for my fathers 1974 solo album “Lyckohjulet” (“Wheel of fortune”). One could say it’s a family tradition to use snake logos in black and white. Much gratitude to Yuki for cleaning up and vectorising from my inexact sketch and shaping the logo as perfectly as I imagined it. 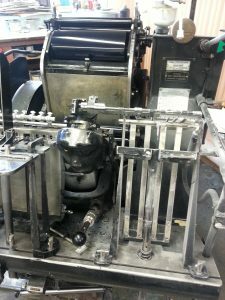 With a lifelong love for books and old printing techniques it was an easy choice to have business cards printed with a genuine letterpress, since luck has it there’s still a real printer in this very city. Arriving, their sign already announced this was people with my taste. What a beauty! 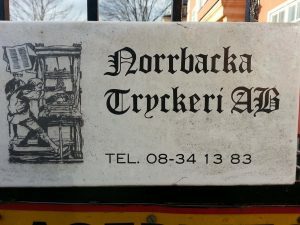 My first visit to Norrbacka Tryckeri was such a sensory joy I was dizzy and euphoric for days after. 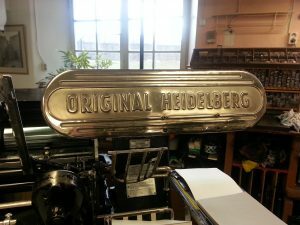 The cuddly papers, deeply imprinted charcoal letters, beautiful semi-antique printing presses and the scent of the inks was all truly delightful and started a letterpress obsession that hasn’t abided. 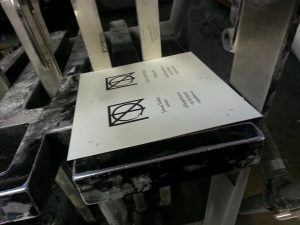 Just look at that deep lovely print! 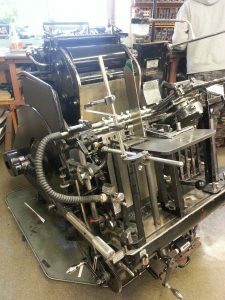 So very grateful to have real craftspeople around, there’s something about the deep imprint of letterpresses that resonates fully with the idea of NOT. It’s genuine, uncompromising and bears the human touch sign of unimitable quality. 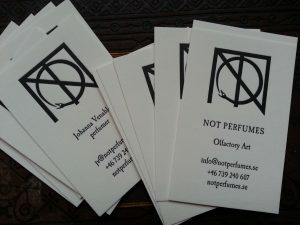 Many deep thanks to Kristina Åkerberg and all of Norrbacka Tryckeri. Welcome to our secrets! 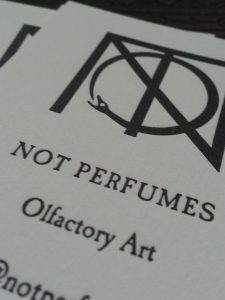 Here background stories, behind the scenes looks, as well as news and updates on what’s going on at NOT will be shared by NOT founder and perfumer Johanna Venables. 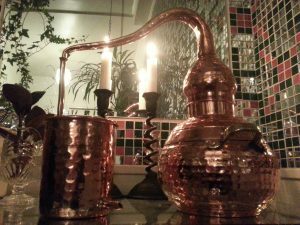 The snow is still covering Stockholm and it seems a long time until spring and opportunities to try this new copper distiller in the field. Experiencing the plants and their living scents in the wild, collecting and refining them by drying, extracting and tincturing has always been an integral part to, and is one of the biggest inspirations behind NOT perfumes. Distilling however is a new adventure and and a lot of structured as well as crazy experimentation will surely take place.